a phase accumulator, a sine look-up table, and a 10-bit digitalto-analog converter (DAC) integrated on a single CMOS chip. loading registers through the serial interface. AD9832 на РадиоЛоцман.Цены — от 251 до 4 964 руб. Триема Analog Devices AD9832BRUZ-REEL 251 руб. AliExpress 1 шт./лот AD9832BRUZ AD9832BR AD9832B TSSOP16 337 руб. 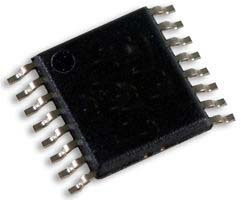 ЗУМ-ЭК Analog Devices AD9832BRUZ 569 руб. TMElectronics Analog Devices AD9832BRUZ от 877 руб.